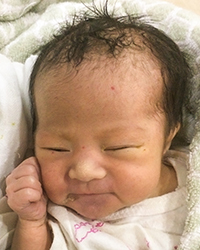 Abigail was born in early May with a very serious ‘abdominal wall defect.’ The doctors in her rural birth city gave her no hope of survival, but thankfully her orphanage director did not accept the recommendation of the local hospital and called New Day South for help. 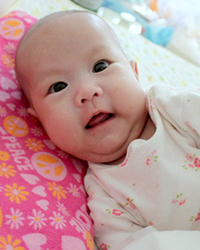 By the end of her 2nd day of life, Abigail was admitted to the best pediatric hospital in the region, where she remained in NICU for the next 11 weeks as the doctors worked to keep her alive and stabilize her internal systems. 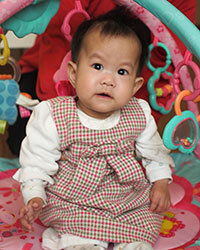 By mid-July, Abigail was ready to be released from the hospital to her new home at New Day South. All we could do was to wait for her little body to become big and strong enough for the major surgery that she needed. 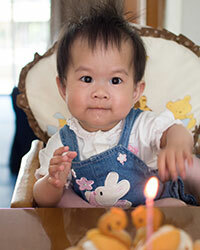 Sometimes children with Abigail’s problem are not able to have surgery until after their first year of life. 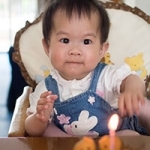 She had to stay in the Critical Care room, away from the other children and visitors and unable to move around due to her condition, but in spite of these limitations, she was always happy and responsive, and quickly endeared herself to the staff. In early November, a visiting team of surgical specialists from the US examined her case and decided that she was ready. Abigail’s time had come. She was admitted to the hospital the very next day – it all happened so quickly! 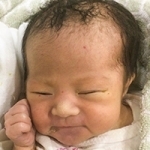 The initial surgery was successful, but the following days were a bit tense as all waited to see how her little body would respond and adjust to the trauma of such a major surgery. On Christmas Day, after 6 long weeks of recovery, Abigail was released from the hospital; what a special gift for New Day South! Since then, they’ve had the joy of seeing her fun personality developing, and watching her wonderful progress. She has at least one more major surgery ahead of her, but nothing is slowing this brave little lady down. 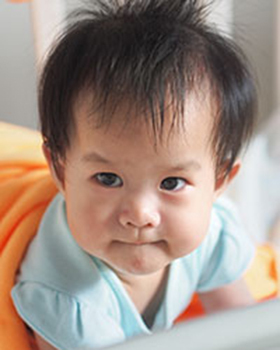 From ‘no hope of survival’ to spunky, independent toddler…it’s truly an Amazing Story.